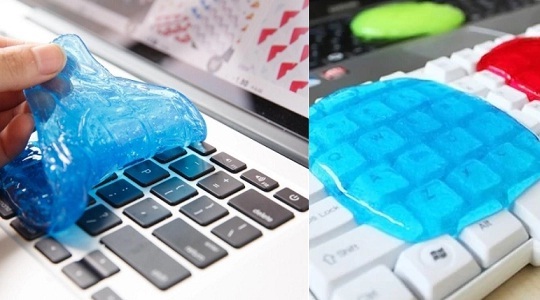 Weilai magic gel can clean most of the regular dirt from your keyboards and other devices. It's a reusable soft glue which can be pressed into a keyboard to easily lift away dirt and debris. It is an innovative super soft sticky dust cleaning gel gum which can be used to clean most of the things such as computer, car, pc, laptop, keyboard and much more. It's super soft doesn't even hurt human skin, safe for daily use without any acrimony and the glue is one of the best cleaning product for various precision digital instruments. It is reliable and can be used until it becomes black, so its pack of 4 is enough to last long for your routine purpose. Dust and dirt in the gaps or surfaces will be quickly absorbed by the gum.